What is WiFiCube (Pocket WiFi)? How many devices can I connect to? What is the download / upload speed of WiFiCube? Can I use my own external power bank to charge the WiFiCube? Do you charge any deposit at the time of booking? Can I place a last-minute order? Is it unlimited data? What is Fair Usage Policy? Can I cancel or modify my booking order? If my cell phone can receive a signal, will the WiFiCube as well? Is there coverage on a cruise or out at sea? What pick up options are available to me? Upon choosing pick up by courier service, when will the WiFiCube arrive? What if I give the wrong courier/delivery address? How can I request a special delivery? Can I request to deliver the WiFiCube to the hotel I am staying? How can I return the WiFiCube at the end of my rental period? How quickly do I need to return the WiFiCube? It's a handheld wireless modem / wireless router/ mobile hotspot / pocket wifi that connects any Wi­Fi enabled device ­ smartphones, laptops, tablets, ebook reader and wifi digital camera ­ to 3G/4G internet. It requires no installation, cables or software. It works like a Wi­Fi hotspot, but it's personal and fits in your pocket. It gives you a secure, consistent and fast internet connection wherever you are, while saving a fortune on data roaming fees. The WiFiCube works with any Wi­Fi enabled device, such as laptops (Windows & Mac), smartphones (e.g. iPhone, Android, Blackberry), tablets or ebook reader (e.g. Kindle). You can connect up to 5 devices at once to a 4G WiFiCube. It will also work with any carrier­locked device. You can connect up to 5 wifi-enabled devices to a 4G WiFiCube and 3 wifi-enabled devices to a 3G WiFiCube. Please note that the connection speed will be shared among each device connected, so having devices connected at the same time could result in noticeable speed slowdown. A fully charged battery lasts around 4­ - 6 hours. The number of connected users and data usage behavior will also affect battery life of the WiFiCube. A micro-USB cable will be provided free it charge. You can also rent an external power bank if needed. The speed of the WiFiCube connection depends on coverage. With a 3G WifiCube, download speeds will be around 21.6 Mbps, and the upload speed around 5.76 Mbps. With a 4G WifiCube, download speeds will be around 150 Mbps, and the upload speed around 50 Mbps. As with all mobile broadband services, the actual speed will be affected by several external factors. Yes, you can, but if your external power bank makes damage to our devices, you will have to take full responsibility and bear the damage cost listed in the rental agreement. We accept online payment through Paypal. PayPal allows you to make payments using a variety of methods including: PayPal Balance, bank account, credit card (Visa and MasterCard), PayPal Credit, and debit card. We do not charge any deposit at the time of booking. The deposit amount is only secured by an authorization hold on your credit card or PayPal balance and will be cleared/released upon our receipt of the returned rental product(s) following your rental end date, deducting any applicable charges (ie. late return fee, data overusage fee and damage fee). The secured amount will not be available for your use. Extra delivery fees may apply. Please contact us for more details. The Rental Period commences on your rental start date ("Rental Start Date") at 12:01am and expires upon your designated rental end date ("Rental End Date") at 11:59pm. Please refer to "Rental Fees and Booking" for detailed pricing information. We do have unlimited data plan for selected rental destinations. To comply with the fair usage policy of our local network providers, a data limit is applied to selected rental destinations. Additional charge will be levied on a per-MB basis if your data usage goes over the limit. Click here for more details. You can easily keep track of your daily usage from the monitor screen of the WiFiCube (the Pocket WiFi). To avoid extra charges, we strongly suggest customers to refrain from all heavy downloading/uploading activities such as excessive video/music/map streaming and downloading/uploading large files. It is very unlikely for you to go over the data limit unless you use WiFiCube for such activities. Courier charges/shipping cost will not be refunded in any situations. You may cancel your reservation without penalty fourteen (14) days prior to your Rental Start Date. If reservation is cancelled within thirteen (13) days prior to the Rental Start Date, you will be charged 25% of the total rental fee. If reservation is cancelled within seven (7) days prior to the Designated Rental Start Date, you will be charged 50% of the total rental fee. If reservation is cancelled during Rental Period, no rental cost shall be refunded. You will not be charged for full amount of deposit for reservation cancellation. In the event that the Equipment delivery has been initiated, the courier charges/shipping cost cannot be refunded. In addition, no days can be refunded wherein you were in possession of the Equipment. It is your obligation to notify us immediately in the event that you would like to cancel your reservation. You may modify your reservation without penalty five (5) days prior to your originated Rental Start Date. If reservations are modified within four (4) days prior to the originated Rental Start Date or during Rental Period, no rental cost shall be refunded. It is your obligation to notify us immediately in the event that you would like to modify your reservation. WifiCube partners with the biggest local network operators to ensure that you always have the best and fastest connections available to you. WiFiCube runs in roaming auto mode. When you arrive your destination, WiFiCube will automatically select and connect to the strongest signal of the local network provider. As with all mobile broadband services, the actual speed will be affected by several external factors. Some remote or poor reception areas may not have internet services. Having the WiFiCube connected to multiple devices might also slow down the internet speed. If your device type is a 4G WiFiCube, its download speed can be up to 150Mbps while 3G WiFiCube is only 21.60Mbps max. Even though sometimes you may see it is connect to 3G temporarily with your 4G WiFiCube, the actual speed must still be faster than then normal 3G network due to the device type. Not necessarily - cell phones work off of a different network than the WiFiCube, so the two are not connecting to the same signal. This is because the WiFiCube connects to data networks; 3G or 4G or higher. On the other hand, cell phones connect to mobile phone cellular networks. Since mobile phone cellular networks have been around for a lot longer than data networks, coverage is a lot better, especially in rural areas. For this reason, you might be able to make calls in a rural area but cannot connect to the internet. To ensure unit availability, we recommend customer to complete your order/booking at least 7 days prior to the rental start date. The standard booking deadline is an order/booking must be made at least 4 days prior to the rental start date. If you choose courier service as your pick up method, an order/booking must be made at least 4 UPS business days prior to the rental start date . For last-minute order request, please contact us ASAP so we can check the product availability, we will be contacting you via email. [Important] Self Pick Up at Airport is no longer available. Sorry for any inconvenience caused. 1) You can self pick up your WiFiCube (Pocket WiFi) at the Vancouver International Airport. Please kindly refer to our Rental Steps for a detailed direction map of our kiosk at the airport. 2) Pick up by courier service. Additional charges will apply. 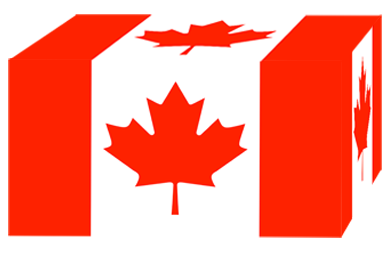 Please note that currently we only provide courier service in Canada (ie. Calgary, Edmonton, Montreal, Ottawa, Quebec, Toronto, Vancouver and Victoria) and United States countrywide. 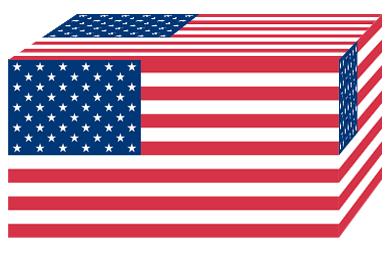 We will arrange to courier the WiFiCube rental product(s) to your designated address in Canada or USA one UPS business day prior your rental start date. Courier service time varies, make sure someone will be present to answer the door between 09:00 - 18:00. UPS does not work on Saturday, Sunday and Public Holidays. For courier service to a hotel address, the WiFiCube rental product(s) will be ready for pick up at the hotel reception desk on your Rental Start Date. Please kindly make sure you provide accurate information such as the hotel name, detailed address and the name of the person the hotel reservation is booked under when you fill in the online booking form. [IMPORTANT] The Company reserves full discretion and the right to refuse to deliver to any rural area or any designated address we believe not appropriate. In the event that a designated address is refused, all payment will be fully refunded. The Company also have the right to decline or reject any reservations with courier service as a pick up method which the booking is made within 4 UPS business days prior to the rental start date. The WiFiCube (Pocket WiFi) will be scheduled to deliver one UPS business day before your rental start date. If you need the device to be delivered earlier, you need to indicate an earlier rental start date. If details in your delivery address prevent your device from being delivered, you will be contacted by the relevant courier service upon the first delivery attempt. Any redelivery costs will be charged back to you. If you would like to request shipment to a country or address not offered on our website, or have specific delivery requests, please contact us before placing your booking so we can make the necessary arrangements. For courier service to a hotel address, the WiFiCube rental product(s) will be ready for pick up at the reception desk on your Rental Start Date. Please kindly make sure you provide accurate information such as the hotel name, detailed address and the name of the person the hotel reservation is booked under when you fill in the online booking form. 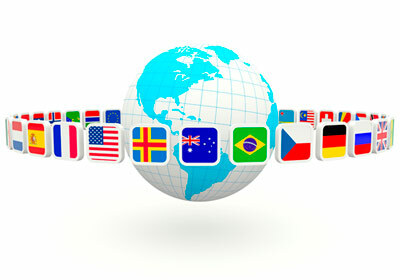 Currently we only provide courier service in Canada and United States. [Important] Self Return at Airport is no longer available. Sorry for any inconvenience caused. 1) You can drop off the device at the Vancouver International Airport. Please kindly refer to the Rental Steps for a detailed direction map of our kiosk at the airport. 2) Choose to return by courier service. Additional charges will apply. We will provide a prepaid return envelop for the return, please place all rental products into the envelope, seal it and drop off at any UPS Drop Off Locations no later than 1 day following your rental end date. You will easily find the UPS drop off locations all around Canada and USA. Please visit UPS for more details regarding to the drop off locations. You can access any UPS Drop Box 24 hours a day, 7 days a week. Currently, we only provide prepaid return envelop for customer returning from Canada and United States. Specific drop off instruction will be given in the booking confirmation email once the online rental reservation is completed. To ensure that all WiFiCube rental product(s) can make its way to the next user in time, it's important that you help us by returning it as fast as possible! If you choose to return and drop off at the Vancouver International Airport, you must return all WiFiCube rental product(s) on your rental end date. If you choose to return by courier service, you must return all WiFiCube rental product(s) with the given prepaid return envelop at an UPS Drop Off Location no later than 1 day following your rental end date. Specific drop off instruction will be given in the booking confirmation email once the online rental reservation is completed. Failure or delay to return all WiFiCube rental product(s) will result in the incurrence of additional charges (ie. late return fees).